These Country Pork Ribs with Bacon Bourbon BBQ Sauce were made so easy using my Instant Pot pressure cooker. I love that I can make the sauce and then cook the ribs under pressure all in the same pot! Yes, the world seems to have gone nuts over electric pressure cookers. While often referred to simply as the Instant Pot, that is in fact a name brand (and yes, I have one) but there are others as well. I’ve had three of them as a matter of fact! The first one sent to me by Cuisinart sat in my cupboard for a year before I tried it and then 2 more showed up in short order! I gave that first one to a neighbor, 3 was a bit overkill but I kept two and I’ve had both going at the same time. One of the easiest uses is as a rice maker so I’ve had rice in one and a meat in the other on more than one occasion. My poor old rice maker…it bit the dust, or rather, it went to Goodwill; I like this gadget way better. It makes gorgeous hard boiled eggs, great with rice and potatoes too; this Sun-dried Tomato and Spinach Pilaf was especially good. 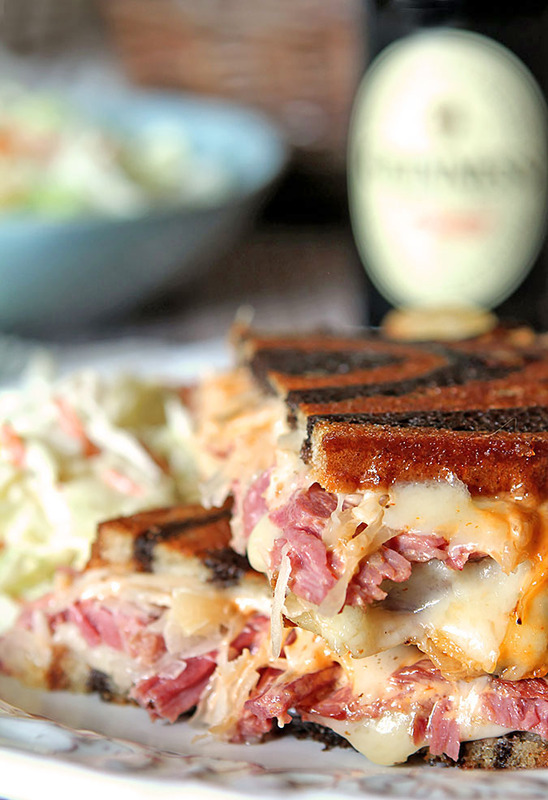 I’ve used it for a couple of Indian dishes and the Reuben Sandwiches I made last year for St. Patrick’s Day used corned beef I cooked in the Instant Pot and they were absolutely fantastic. Still, as much as I love them, I believe they have limits. Don’t tell the people in a huge Instant Pot Facebook Page that I said that, but I honestly think some people go a bit wacky over this new toy. For me, it’s been meat that I’ve found a bit limiting. I don’t want all of my meat shredded and that’s pretty easy to do if you’re not careful. Granted for these Apple Cider and Brown Sugar Pulled Pork Sandwiches it was the perfect result, but what if you want something with meatier pieces? It’s all about the type of meat you use! I had a couple of packages of Country Style Pork Ribs so thought I would give them a try. And now I’ve found my alternate to pulled pork, whew. The meat is definitely tender and pull apart but it also stayed in one piece which is what I was hoping. Surrounding the tender meat with a bacon and bourbon sauce? How awful right? These were tender and the sauce was just how I like it; a bit of sweet but with a bite to it too; pretty perfect! 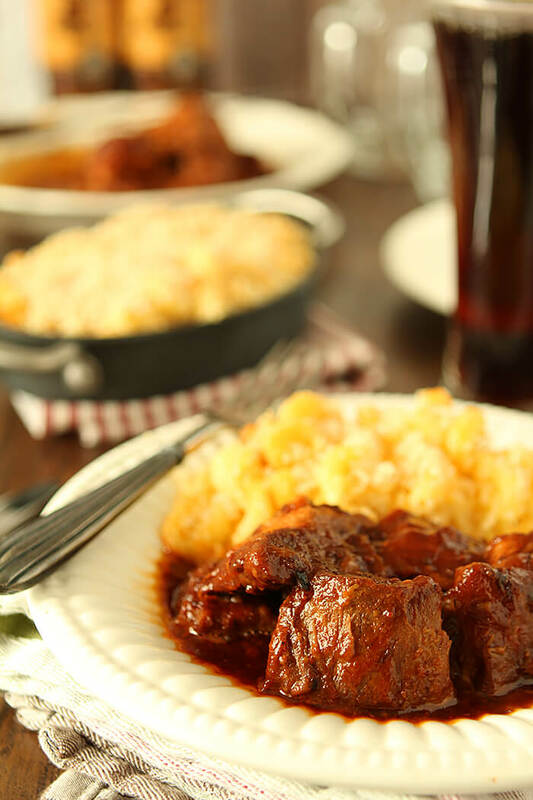 I came ‘this close’ to just using a jar of sauce a brand had sent me and making this post all about how easy it is to prepare country ribs in the pressure cooker. I took one taste of that sauce and changed my mind. Barbecue sauce is so easy to make, typically uses ingredients most of us have in our pantry and the taste is so elevated beyond something in the jar, it’s worth the few extra minutes of prep time. Promise. Do you have an Instant Pot gifted to you that you haven’t even opened yet? 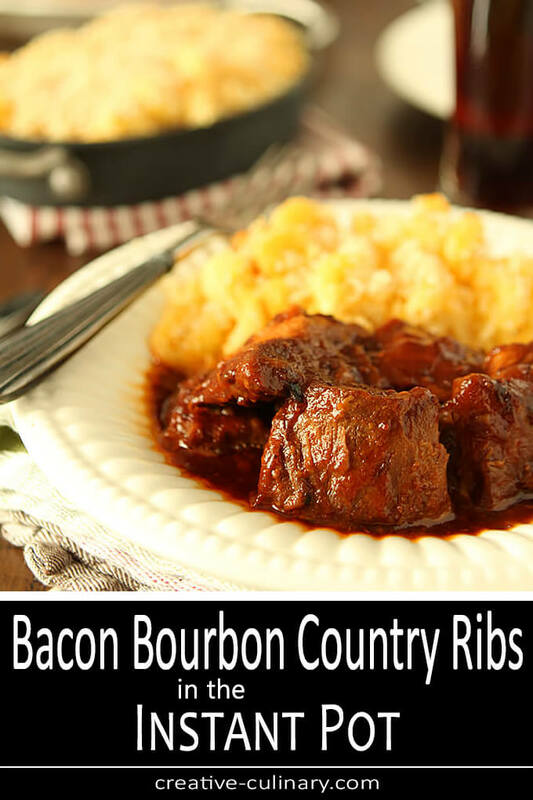 Try these Instant Pot Country Pork Ribs with Bacon Bourbon BBQ Sauce…you’ll see why they are so loved. Combine the onion powder, garlic powder, paprika, salt, and pepper in a small bowl. Rub the mixture on all sides of the ribs. Select the Browning control on your appliance and add the oil to the pot. When the oil is hot, lightly brown the seasoned ribs on all sides. Do not overcrowd the pot, it will take a couple of batches to do all of the ribs. Put the browned ribs on a plate after they brown and set aside. Place the bacon in the pot of the pressure cooker. Using the same Browning control, cook until the bacon is just browned, stirring often. Add the garlic and saute for one minute. Add the remaining ingredients except salt and let come to a boil using the Saute function. Let the sauce simmer, uncovered, for 15 to 30 minutes until thickened. Season to taste with salt. Blend in the pot with a stick blender or remove from heat and pour into a blender to blend until smooth. If using blender, put the sauce back in the pot. 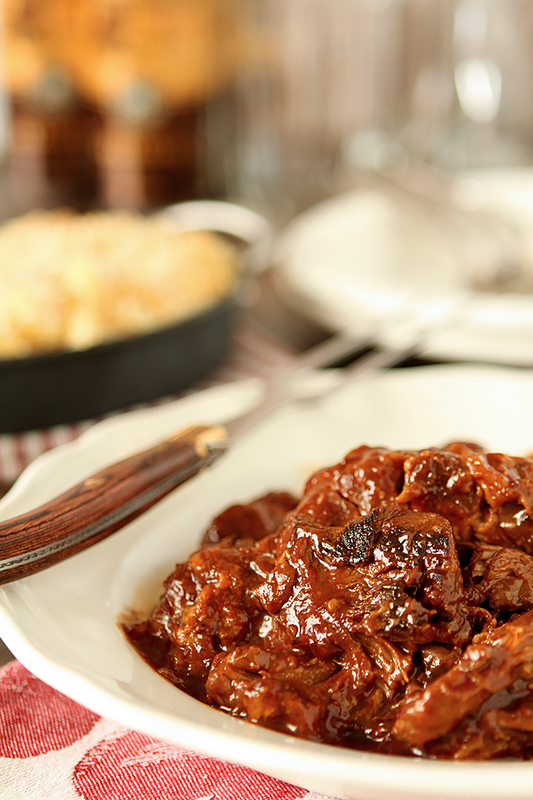 Add the country ribs to the sauce in the pot and make sure all pieces are thoroughly coated. Put the lid on the pressure cooker and lock it in place. Select High Pressure and set the timer for 15 minutes cooking time. When the beep sounds, let the pressure cooker natural release for 8 minutes, then release any remaining pressure. When the valve drops, remove the lid. Remove the meat with tongs to a large plate and cover with foil to keep them warm. Combine the cornstarch and water in a small bowl, whisking until the cornstarch dissolves and the slurry is smooth. Select Sauté on the pressure cooker to bring the sauce to a boil. Whisk in half of the cornstarch mixture and cook, stirring constantly, until the mixture thickens. If not thick enough. add the remaining slurry and repeat. Add the ribs back to the pot making sure to coat all of them and simmer for 5-10 minutes to let the ribs absorb some of the sauce, stirring occasionally. Serve the ribs and sauce with pasta (I made mac & cheese), rice or potatoes and a green vegetable.